Interspinous decompression devices (IPD) are used to help patients with lumbar spinal stenosis, a condition in which the spinal canal narrows and presses on the cord and nerves. The most common cause of lumbar spinal stenosis is aging, but it can also be caused by disc herniation, osteoporosis, or a tumor. Common signs and symptoms include numbness, weakness, or pain in the legs, buttocks, or feet, as well as pain in the legs, and stiffness in the lower back. If you suffer from lumbar stenosis, now is the time to find out what interspinous decompression devices can do for you. Our team are some of Los Angeles’s most esteemed board-certified neurosurgeons and spinal surgery specialists. For more information or to schedule a consultation, please contact us today. What are Interspinous Decompression Devices? If you are a spine disorder patient with moderately severe functional impairment because of pain, cramping, or muscle weakness, IPD may help. These devices, or spacers, are placed between the vertebrae to keep the space between the vertebrae open and prevent the nerves in the back from getting pinched. The surgical procedure to implant a spacer is done under local anesthesia and takes just a few hours. First the back muscles and other tissue are opened so that the surgeon can access the affected vertebrae. The IPD is then implanted in the back and locked into place. The incision is then stitched up. To learn more about spinal stenosis treatment, please visit Mayo Clinic. Q: What is spinal stenosis? A: It is a narrowing of open spaces within your spine, causing pressure on your spinal cord and nerves. It is usually the result of aging and years of wear and tear. Q: What do interspinous process decompression devices do? A: Interspinous process decompression is a surgical option for patients with spinal stenosis or neurogenic intermittent claudication. These devices are implanted between the vertebrae to improve flexibility and help the patient gain relief from their symptoms. Q: What are the risks of these devices? A: While interspinous process decompression devices are generally considered safe, there are risks involved with any procedure. These include damage to the spinal cord or nerve roots, resulting in increased pain or the need for further surgery. Q: What is interspinous process decompression? A: Interspinous process decompression is a minimally invasive surgery in which a spacer is inserted between the affected area of the vertebrae. This spacer, or device, is used to prevent spinal canal narrowing while also allowing for continued flexibility. Q: What are spinous processes? A: Spinous processes are the protrusions of bone on the center back of the vertebrae. It is place where many spinal muscles are attached. It is also the area of the vertebrae that creates the bumps you feel in your back. The spinous processes are the area affected by stenosis. Is spinal stenosis affecting your quality of life? You don’t have to live with the pain. 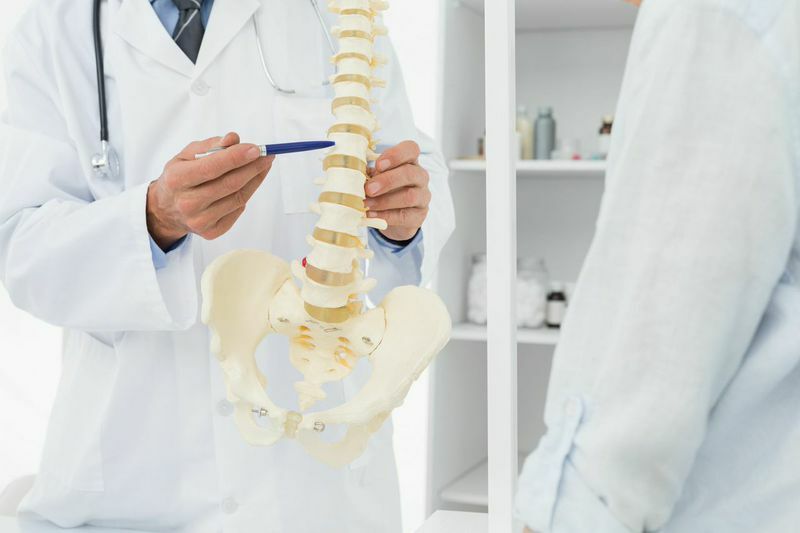 The spinal surgery team at ProMedSPINE are experts in in helping to relieve patients’ symptoms through the use of interspinous process decompression devices. If you’ve tried and failed to relieve your symptoms through non-surgical methods, surgery might be the answer for you. Call 888-75-SPINE today to schedule a consultation with our specialists. Next, learn about spinal fusion surgery.